In December the Israeli Knesset voted against equality for all its people in violation of Israel’s own Declaration of Independence. Christians, Druze and Muslims officially don’t have equal rights to Jews. Plans are underway to expel 36,000 Palestinians from the Negev and formally annex the West Bank. In September the Israeli government, in an official letter to the Supreme Court, said that Israel could ignore international law anywhere in the world, violate the sovereignty of foreign countries, and disregard international law in any field it desires. Israel forcibly seized nearly 80% of Palestine in 1948 after being given 55% in the 1947 UN partition, and in 1967 took the whole country and started settling colonists there in violation of the Geneva Conventions. The myth of Israeli democracy is dead. Many PAR readers attended last October’s Tree of Life program at Shoreline Unitarian church in Madison highlighting HR 4391, the US bill to stop US funding for Israel’s illegal detention and torture of Palestinian children (over 500 of whom died in last summer’s Israeli attacks on Gaza). Tree of Life and Jewish Voice for Peace ask people to sign ToL’s petition to support this bill in the new Congress at tolef.org. The bill does not affect US military aid to Israel. Jewish Voice for Peace New Haven (JVPNH) and Tree of Life Educational Fund (TOLEF) are reaching out to organizations to endorse our resolution in support of the Promoting Human Rights by Ending Israeli Military Detention of Palestinian Children Act. If you are affiliated with an organization, please see the resolution at www.tolef.org/pal-children, and get your organization to sign on. This can be done online. JVPNH and TOLEF have been leading an effort to get our five CT congresspeople to co-sponsor the bill, which was introduced in the previous congressional session as bill HR.4391 by Rep. Betty McCollum (D-MN). It has 30 co-sponsors, including six from New England. We had in-person meetings with each of our congresspeople. Each expressed interest, but none signed on as co-sponsors. Rep. McCollum is very likely to re-introduce the bill in the new Congress, and we are renewing our effort to get our CT delegation to sign on. At this point, we are reaching out to organizations to show support by endorsing the resolution, which calls on our CT delegation to sign on to the bill. Please see the resolution at http://www.tolef.org/pal-children, and get your organization to join with the many others which have already signed on. On the one hand it’s staggering. The U.S. Senate unani-mously voted to declare the Crown Prince of Saudi Arabia the person responsible for the murder of Saudi journalist Jamal Khashoggi. Just this spring the Crown Prince was on a victory tour of the U.S. being wined and dined from every-body from Bloomberg to Oprah to “The Rock.” On the other hand, we don’t know if anyone involved in the murder has been punished. The Saudi Arabian prosecutor claims to have arrested 20 people, but he has not released the names, nor has the prosecutor said a word about what happened to Khashoggi’s remains. You would think with 20 people in custody, with some supposedly pleading guilty, the Saudi police would know where the remains are located. But the prosecutor has said nothing. It may be part of Khashoggi’s punishment! Over 30 Saudi families who have lost a son to an execution or police killing have been told the body is being withheld. MECC has a petition on our site thestruggle.org calling for the bodies of all the executed to be returned to their families. The Middle East Crisis Committee and Promoting Enduring Peace are also trying to get the West Haven City Council to speak out and call for the University of New Haven (housed in West Haven) to break its ties to the Saudi police/military college. As far as we can tell it’s the only college that directly helps the Saudi “security.” We’ve sent a model resolution to the Council and are working to get them to pass it. To help out with this contact mail@thestruggle.org or call (203) 934-2761. We’re also working on the crisis in Al Rukban. It’s a remote part of Syria near Jordan and Iraq where tens of thousands of refugees are living in a desert. They’ve run from Assad and ISIS. Neither Jordan nor Iraq will let them in. So Al Rukban is under siege and the people are really in a bad way. The pathetic thing is they’re just a couple of miles away from a U.S. base in Syria and the U.S. won’t help them. #US-Help2Rukban, contact office@pepeace.org to spread the word. Tree of Life and its cosponsors are asking us all to respond to the sound of Rachel “weeping for her children” that can be heard in all Palestinian and Israeli mothers and fathers who yearn for a better future for their children. Speakers are Israeli Jew and former soldier Eran Efrati, an expert on US-Israeli military collaboration; Ruba Awadallah, a Palestinian-American researcher for Defense of Children International/Palestine; and Lara Kiswani, a Palestinian-American lecturer from San Francisco State who specializes in anti-racist campaigns. We invite everyone to attend the program at Shoreline Unitarian Universalist Society, 297 Boston Post Rd., Madison 06443, on Friday, Oct. 19, 6-9 p.m. There will be a Museum of Zionism exhibit, speakers program, buffet and Tree of Life products for sale. Admission is free, donations welcomed. Info from tolef.org and from Yann at janinawoelfin@gmail.com. Download the program flier here. The Middle East Crisis Committee (MECC) is in its 35th year. MECC invites you to “Struggle, Resistance and Resili-ence in Solidarity with the Palestinian People,” a fund-raising party on Saturday, March 3 at 6 p.m. at the First Unitarian Universalist Society of New Haven, 608 Whitney Ave. Learn about Mazin Qumsiyeh’s efforts in building the Palestinian Natural History Museum in Bethlehem. There will be food, music, and video; auctions and door prizes are planned. $25 suggested donation. For the past dozen years or so our biggest efforts have involved media. We have a weekly TV show on over 30 cable stations stretching from Maine to New York City. One focus of late on TheStruggle.org is Saudi Arabia (KSA) and its war against Yemen. Another focus is of efforts around the world to remember Syria. It’s called “2nd Day of Rage for Syria.” MECC stands for the withdrawal of U.S. troops from Syria and in support of Syrian civil society demands for ceasefire and honest elections. The Middle East Crisis Committee (MECC) invites you to “Struggle, Resistance and Resilience in Solidarity with the Palestinian People,” a fund-raising party on Saturday, March 3 at 6 p.m. at the First Unitarian Universalist Society of New Haven, 608 Whitney Ave., New Haven. Learn about Mazin Qumsiyeh’s efforts in building the Palestinian Natural History Museum in Bethlehem. There will be food, music, and video; auctions and door prizes are planned. $25 suggested donation. MECC is in its 35th year. For the past dozen years or so our biggest efforts have involved media. We have a weekly TV show on over 30 cable stations stretching from Maine to New York City. One focus of late is Saudi Arabia (KSA) and its war against Yemen, which has been completely supported by the Obama and Trump administrations. This past year saw an attempt to use the War Powers Act to completely cut off U.S. participation in the war via House Concurrent Resolution 81. However, it was sidestepped by leaders in Congress including powerful Democratic Party Whip Steny Hoyer. We did an interview with Malachy Kilbride who with six others were arrested inside Hoyer’s office demanding in vain a meeting with Hoyer or his staff. You can see the interview by going to TheStruggle.org and clicking on the black button for our YouTube channel “struggle-videomedia.” (Incidentally, while CT Sen. Chris Murphy is admirable on the Yemen issue, Sen. Richard Blumenthal has never spoken out against the atrocious war.) “Atrocious” is no exaggeration. Reuters had a video clip of destitute people in a Yemen garbage dump, eating and drinking in the garbage amid swarming insects. Another video of note on TheStruggle.org is of efforts around the world to remember Syria. It’s called “2nd Day of Rage for Syria.” People mistakenly think the war is over. Hundreds of thousands are under Assad siege in Idlib and Eastern Ghouta. After its brutal obliteration of Raqaa, the U.S. is using a Kurdish force to establish a permanent presence in the northeast and Turkey has a chunk of the country in the north. MECC stands for the withdrawal of U.S. troops from Syria and in support of Syrian civil society demands for a ceasefire and honest elections. Join us for this fund-raising event on March 3! Despite near-freezing weather, 50 to 100 people rallied in McLevy Square in downtown Bridgeport Dec. 17, 2017, to stand with Palestinians who have denounced Trump’s public announcement that he’ll move the U.S. embassy to Jerusalem. The rally was organized by CAIR (Council on American-Islamic Relations) and the Bridgeport Islamic Community Center. Jerusalem was seized by Israeli forces in 1967, but no country in the world has its embassy there. One reason is that almost 40 percent of the city’s inhabitants do not have Israeli citizenship since they are Palestinians who have only been given residency status. Israeli soldiers have killed a number of people in the protests including a legless man named Ibrahim Abu Thuraya who was in his wheelchair behind the wall between Gaza and the rest of Palestine. Yale may have had New York Times columnist impart his “wisdom” to students in December, but the Coalition to End the U.S.-Saudi Alliance wants the NYT to suspend him. Friedman wrote a long piece of flattery about the Crown Prince (and effective ruler) of Saudi Arabia, claiming he was bringing an “Arab Spring” to the country his family owns. Abandoning journalistic and moral criteria, Friedman ignored the Saudi war on Yemen that has been so horrific. To sign the petition go online at http://www.SaudiUS.org. In February, the Middle East Crisis Committee (35 years old in 2017) will hold a fundraising party to keep its projects going in the new year. MECC produces “The Struggle” which is shown weekly on over 30 TV stations in the northeast and in South Bend, IN. There will be food and music and auctions of items like autographed books by Wendy Pearlman and Timothy Snyder, and the graphic novel Palestine by Joe Sacco. Date and location of the event has not been determined, probably in the afternoon in New Haven. 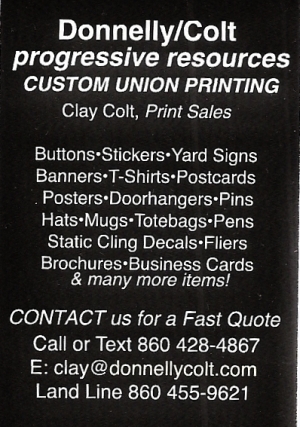 Details will be in the next PAR newsletter and posted on the website http://www.thestruggle.org, or call (203) 934-2761. 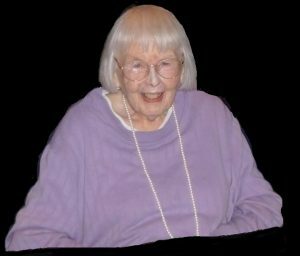 It is with great sadness that the Progressive Action Roundtable Planning Committee informs our readers that Mary Johnson, a founding member of PAR and leader, strategist and active participant in most of PAR’s committees, has passed on. We dedicate this issue of our newsletter to Mary. Without her guidance, ideas for informing the public and each other of rallies and events, optimism in the struggle for justice and her persistence in fighting for people’s rights throughout the years, there may not have even been a Progressive Action Roundtable. We all owe so much to her. Mary was directly active in many of the organizations that are PAR-affiliated. 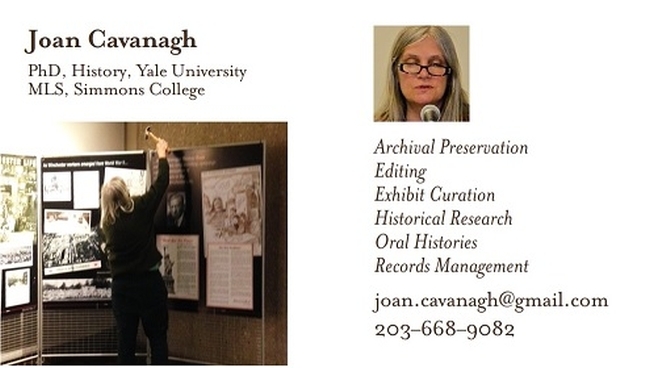 She was also active in most of New Haven’s progressive organizations. She most likely was a founding member of many. A memorial is being planned for her with details upcoming. 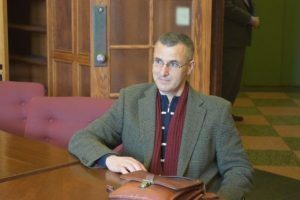 Hundreds gathered at Yale’s SSS building on April 23 to celebrate the Gandhi Peace Award being jointly given to Omar Barghouti and Ralph Nader. The award has been presented since 1960 by Promoting Enduring Peace (PEP). Barghouti began his talk by noting Palestine “lingers on in colonial chains.” He dedicated his award to Palestinian prisoners on hunger strike in Israel. He asked that his $2,500 prize money be given in equal shares to Black Lives Matter, Students for Justice in Palestine, Jewish Voice for Peace, US Campaign for Palestinian Rights, and Friends of Sabeel North America. He talked about the “striking similarities” between Israeli treatment of Palestinians and that of blacks in the days of apartheid South Africa. He noted the recent decision of Barcelona, Spain, which ended its complicity with Israeli settlements and explicitly defended boycott, divestment, and sanctions (BDS). He also listed many other BDS victories. At the end of his talk, he mentioned Palestinians and Israelis. The talks were warmly received with standing ovations. For more on this year’s awards, visit http://www.pepeace.org/gpa-2017-video-and-photos. Imagine if your business or group supported Cesar Chavez grape boycott your state government put you on a blacklist, and you would be forbidden all state contracts and any pension fund investment. Or maybe state authorities punish you because you refused to buy Nestle products in the ’70s when it was dressing up saleswomen as nurses and pushing baby formula on women in the poorest countries in defiance of all good health sense. Imagine if when Macy’s and Woolworths boycotted Nazi German goods in the ’30s they would be sanctioned. What if the states did something similar to groups demanding action against Sudan because of what its government did in Darfur? Senate Bill #170 proposes just that in regard to one boycott, the Boycott, Divestment, Sanctions (BDS) movement that works to end international support for Israel’s oppression of Palestinians and pressure Israel to comply with international law. It was proposed by Florida Sen. Rubio and has 28 cosponsors including CT Senator Blumenthal. It goes beyond boycotts. It punishes any “entity” that advocates “sanctions” so it could be triggered if a group called for a cut-off of cluster bombs to Israel. If passed SB #170 would be an outrageous violation of free speech and a very bad precedent for trade unions who use the weapon of boycott to support striking workers. An effort is being made to persuade CT Senator Chris Murphy to oppose the bill. Labor lawyer John Fussell wrote a terrific letter to Murphy about #170 and 194 CT residents signed on to a similar letter opposing #170 that was hand-delivered to him at his town meeting in West Hartford. Email him through his website or even better call his office in DC at (202) 224-4041. For details see www.TheStruggle.org. Far from punishing people for advocating BDS, state governments should support it. A few years ago Connecticut’s Treasurer reported that the state had $32 million invested in State of Israel Bonds or stocks in Israeli companies. 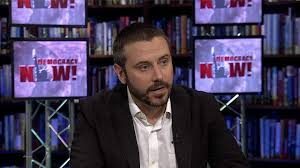 Oscar-nominated documentary filmmaker of “Dirty Wars,” Jeremy Scahill will be the keynote speaker at Between The Lines/Squeaky Wheel Productions’ 25th anniversary event on Saturday, Oct. 8 at United Church on the Green, 270 Temple St., New Haven, from 2-4 p.m. He’ll address ongoing U.S. wars, drone warfare and other foreign policy issues facing the U.S. during this presidential election campaign and long after. Advance tickets are $10/ $15 at the door. Ticket outlet for main event: Best Video Film and Cultural Center, 1842 Whitney Ave., Hamden. Online tickets available at BrownPaperTickets.com: BetweenTheLines25thAnniversary.brownpapertickets.com. Democracy in Action Awards will also be presented to Barbara Fair, New Haven community activist, to The Dragonfly Climate Collective and to Unidad Latina en Acción. After the talk, a reception and silent auction will be held in New Haven, $50/ticket. Please RSVP by Saturday, Oct. 1 by calling (203) 268-8446. We’ll give directions when you reserve and/or send check made payable to Squeaky Wheel Productions, P.O. Box 110176, Trumbull, CT 06611. Please include email and/or phone. For more information see: http://Squeakywheel.net or call (203) 268-8446. Co-sponsors include Progressive Action Roundtable at PAR-NewHaven.org, The Greater New Haven Peace Council chapter of USPeaceCouncil.org, Promoting Enduring Peace at www.pepeace.org and Middle East Crisis Committee at thestruggle.org. Award-winning investigative journalist and author, Democracy Now! correspondent, a founding editor of The Intercept and Oscar-nominated filmmaker for “Dirty Wars: The World is a Battlefield” Jeremy Scahill will be the keynote speaker at Between The Lines Radio Newsmagazine’s 25th Anniversary Celebration from 2-4 p.m. Saturday, Oct. 8, 270 Temple St., New Haven, CT.
Scahill’s speech, “Drones, Terrorism and The President,” will address America’s endless wars, “targeted assassinations” and the critical policy decisions facing our next president, issues largely ignored by U.S. corporate media. Scahill will also be signing his latest book, “The Assassination Complex,” with a foreword by Edward Snowden and afterword by Glenn Greenwald. Democracy in Action awards, public forum, Q&A and booksigning with Jeremy Scahill 2-4 p.m.
at the United Church on the Green, 270 Temple St., New Haven, CT (corner of Temple and Elm Streets). Suggested contribution: ($10 advance, $15 at the door). Call (203) 268-8446 or email info@squeakywheel.net. Ticket outlet: Best Video Film and Cultural Center, 1842 Whitney Ave., Hamden. A reception and silent auction will be held from 5-7 p.m. ($50 each). Call 203-268-8446 for details or visit http://Squeakywheel.net. Co-sponsors: Progressive Action Roundtable (PAR-newhaven.org) and The Greater New Haven Peace Council.